Balance user productivity and security by controlling access at the application level. Effective multi-layered security strategies include privilege management. The FBI has 9 steps for prevention. Privilege management ranks near the top. Application control is a must for deterring zero-day exploits and protecting vulnerable legacy systems. But traditional methods can stifle users, overwhelm IT, and cause a whole new slew of security issues. 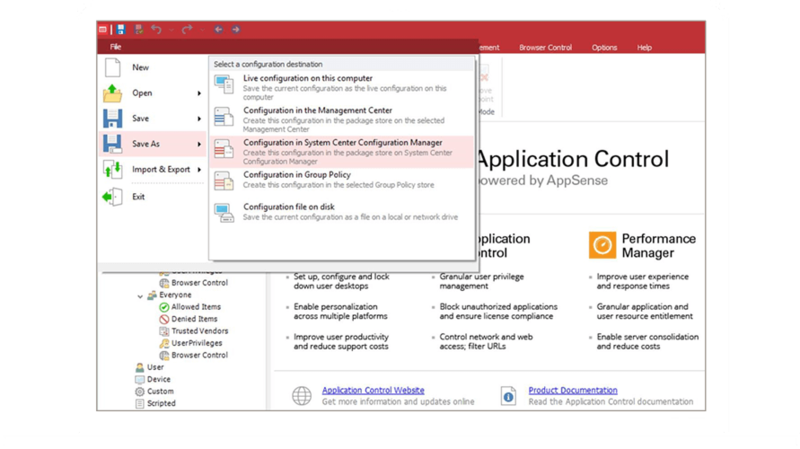 When application control incorporates granular privilege management through SCCM, your users won’t be lured into finding workarounds (shadow IT) when their admin rights are taken away. And your IT department won’t have to spend countless hours juggling different tools. 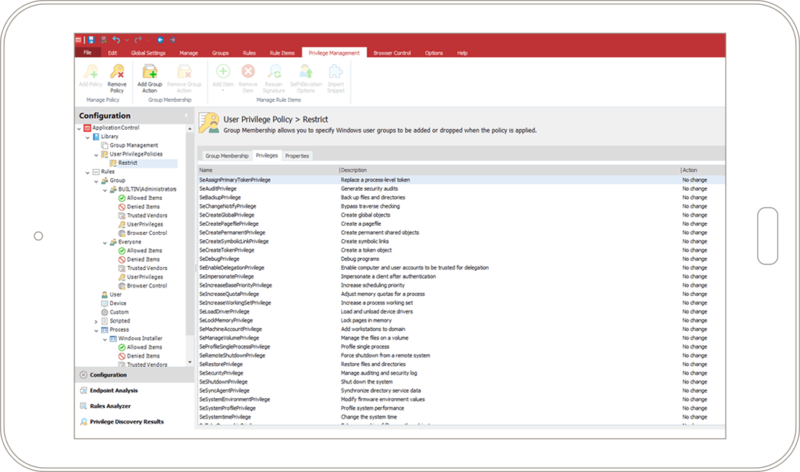 Simplify security for both IT and your users with privilege management that complements and extends the value of your system center configuration manager (SCCM). Become a true business partner when you have more time to discover and deploy the latest tools for revenue generation and efficiency. Privilege management helps you meet the needs of compliance requirements, such as the SOX (Sarbanes-Oxley Act). Help ensure that only authorized apps can execute, based on context such as user role, locale and device. Go for granular control with the ability to self- elevate. You’ll keep malware at bay, users happy, and your IT team out to the weeds. You can’t rely on traditional tools in today’s ever-evolving security landscape. You need tools that work harder for you. Reduce risk without overburdening IT. Improve your security stance with dynamic whitelisting and granular privilege management. Traditional app control doesn’t cut it when security vulnerabilities are growing and users need more access to apps than ever to stay productive. Implement and deploy system center configurations easier through SCCM. Keep desktops in original gold-built state. Give access to your users faster by using an engine operating on context-aware policies. Stay in compliance when access is granted based on established agreements. Grant users the ability to run authorized apps for a period of time, despite restricted privileges. Help ensure that unknown applications can’t execute unless introduced by authorized systems or users. See the difference privilege management makes.